We have reached a new season, and I thought it would be fun to have another math game to practice our math with. 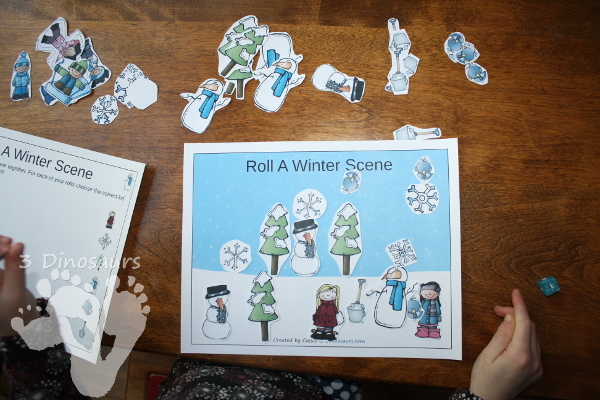 This free Roll a Winter Scene is a great hands-on way to work on different levels of math. 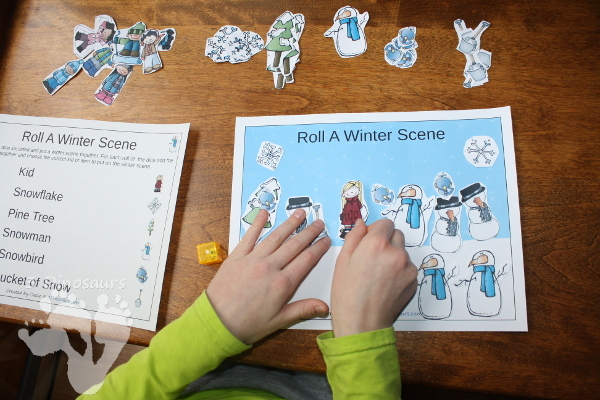 Each of the rolling math games, that I have made, are easy to use and fun for kids. My girls love having these mats to break up the flash card work they do. This is also a game that all three of my girls can play with their different levels they are working on. 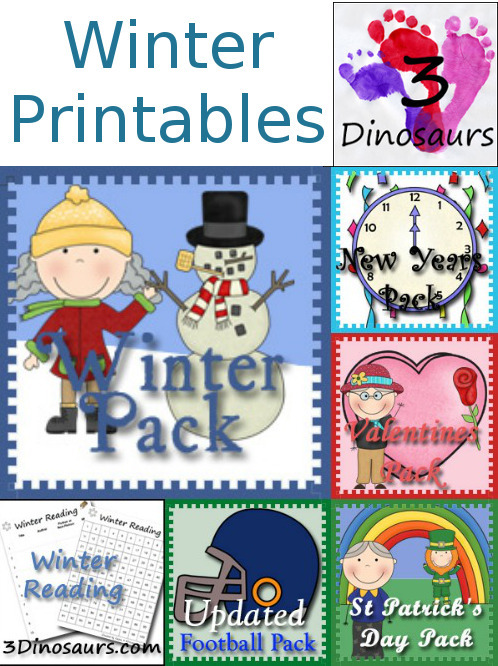 This winter theme is being added to the other rolling math themes: apple tree, farm, pumpkin patch, monster, Easter Basket and Christmas tree. 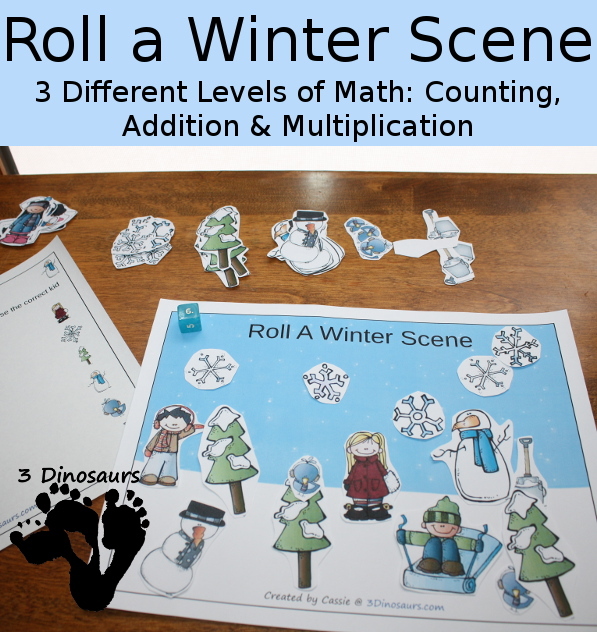 This Roll a Winter Scene has 3 levels: Counting, Addition, and multiplication. 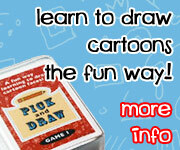 There are two different multiplication types: 6 sided dice and 12 sided dice. This allows for different age levels to use the same printable. This is the same as the pumpkin patch. I loved the additional multiplication levels. I have considered adding more to other levels as well. 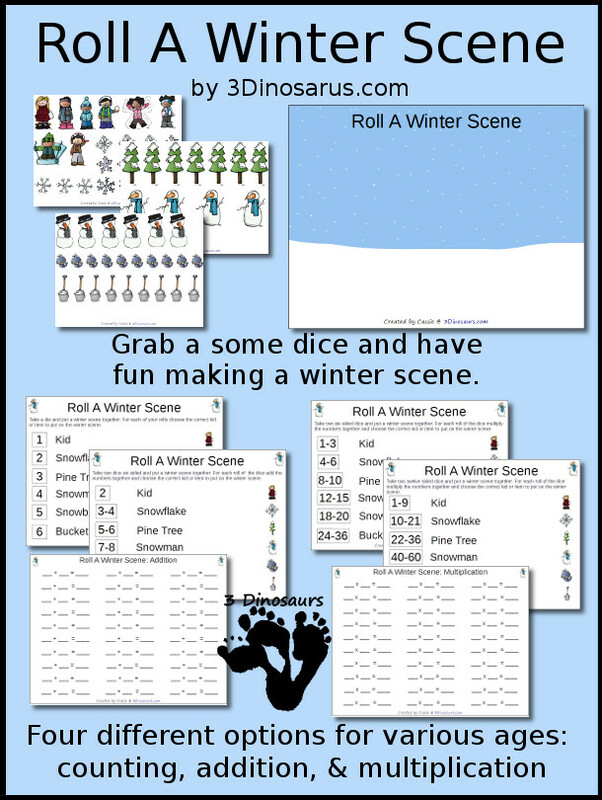 Check here to download the Roll A Winter Scene! This entry was posted in extra, math and tagged addition, counting, free, hands on learning, multiplication, printable. Bookmark the permalink. I love these kinds of roll-a-scene activities – kids don’t even realize they’re practicing math while they’re building a scene! Thanks for sharing at the Thoughtful Spot!